"Time reveals all. Thoughts become action. Clumsiness turns to precision. Failures lead to knowledge. Frustration gives way to breakthroughs. Struggle turns to resilience. Boundaries give way to creativity. What you live for becomes what you die for. Your life becomes your legacy." Memento Mori NXS (Nexus) represents the convergence of life, art, and triumph. It exists as a reminder to seize every precious moment that we are gifted, to live every breath to its fullest, and to leave a lasting legacy to endure the ages. Memento Mori NXS brings back acclaimed artist Adrian Valenzuela, art designer behind the original Memento Mori. With Memento Mori NXS, he takes low-poly designs to a whole new level by infusing abstract shapes with realism of light and shadow. The result is a beautifully modern design reminiscent of classical impressionism, yet grounded with purpose and inspiration. 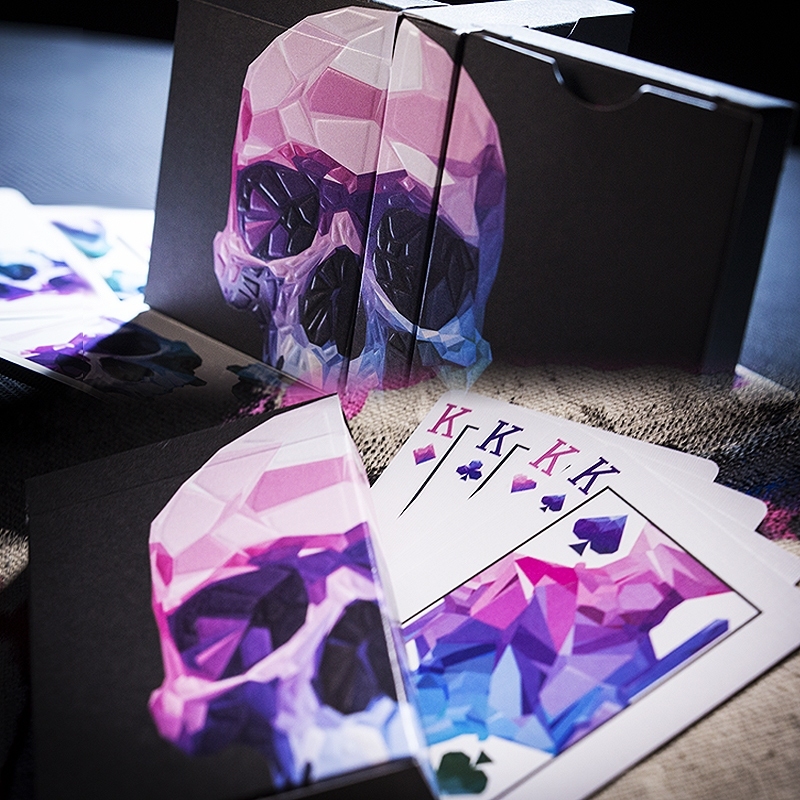 Memento Mori - "Remember your mortality" • The cards are poker size.